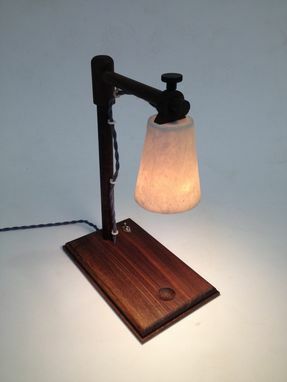 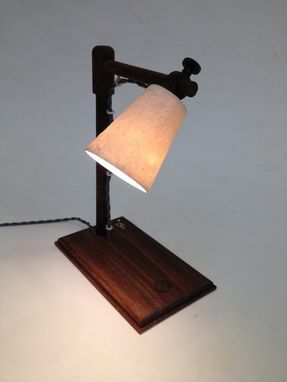 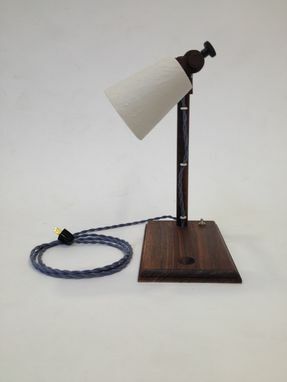 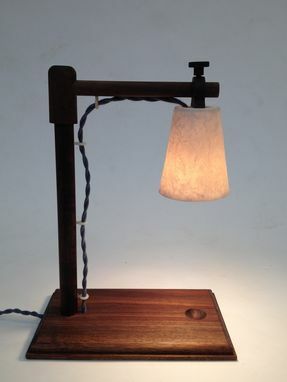 This hand made Black Walnut desk lamp features a slip cast porcelain shade, nylon wire chases, cloth cord, Knurled steel thumb screw and a stainless steel ball toggle. 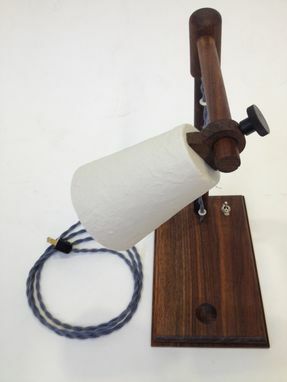 The Walnut is hand finished with tung oil. 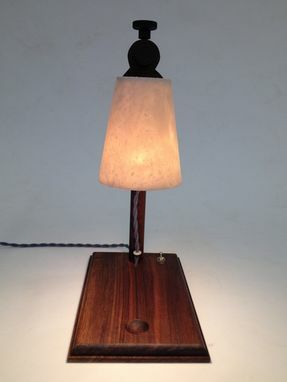 Approx dimensions are 6x11x12.